Many local divers and nudibranch aficionados have noticed that Felimare californiensis is a rare species in California and is now only consistently found at Santa Catalina Island. However, this wasn't always the case. A recent paper published by Goddard et al (2013) describes the former abundance and regional extinction of this species in southern California. 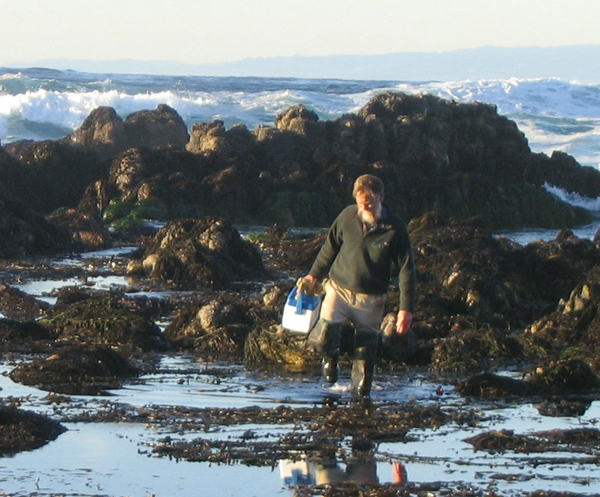 Although search efforts for nudibranchs have increased during the last few decades, F. californiensis was last sighted on the mainland coast of California in 1980, and by 1984 was extinct in the region. Since reappearing in 2003 it has been regularly found only at Catalina Island. Throughout this time period the species has persisted in Mexico. The decline in F. californiensis in California is the opposite of what would be expected with warming trends and climate variation over the past 40 years, including the strong El Nino events of 1983 and 1998. The specific cause of the decline is unknown. 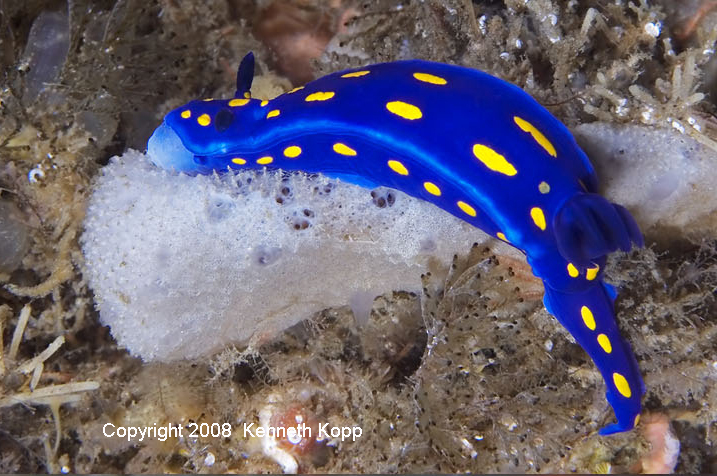 However, water pollution from the heavily urbanized southern Californian mainland may have impacted the sponge prey of F. californiensis, with habitat loss and historical over-collecting likely also contributing to the decline of the nudibranch. We are now trying to understand the biology and genetics of this species in order to determine the conservation status of the Catalina populations, prevent further decline, and possibly re-introduce the species into the Southern California mainland and new Marine Protected Areas. We are therefore asking for your help. We are interested in any sightings, especially small individuals and animals from localities other than Catalina Island, including dates and locality information. We are also very interested in photos or videos of the animal feeding. Finally, if you have a collecting permit we would like to obtain small samples of mantle tissue from living specimens for genetic studies . We would like to preserve our State's name-bearing nudibranch for future generations of divers to enjoy. WEBMASTER'S NOTES: Once again, kudos are in order for the Southern California Diving Community, whose vigilant watch of the underwater fauna off our coast have helped bring the plight of Felimare californiensis to the attention of Marine Scientists who are now attempting to analyze the causes of species decline and perhaps promote measures which will bring the species back from the brink of extinction. We just can't let Felimare californiensis join the rolls of what used to be! It's far too majestic to just disappear off the face of the earth! © The Slug Site, Michael D. Miller 2013. All Rights Reserved.